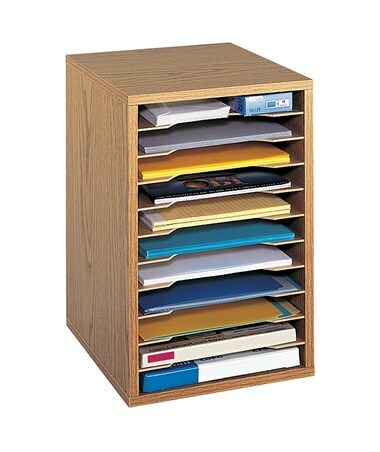 The Safco Vertical Desk Top Sorter is a compact organizer perfect for desktop literature and form organization. 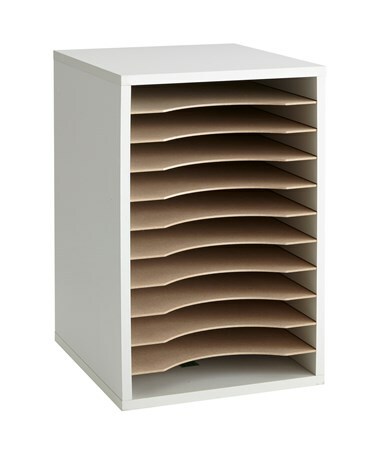 It has 10 removable hardboard shelves that form up to 11 letter size compartments and supports a weight of up to 15 lbs. The shelves can be adjusted to allow customized compartment size. 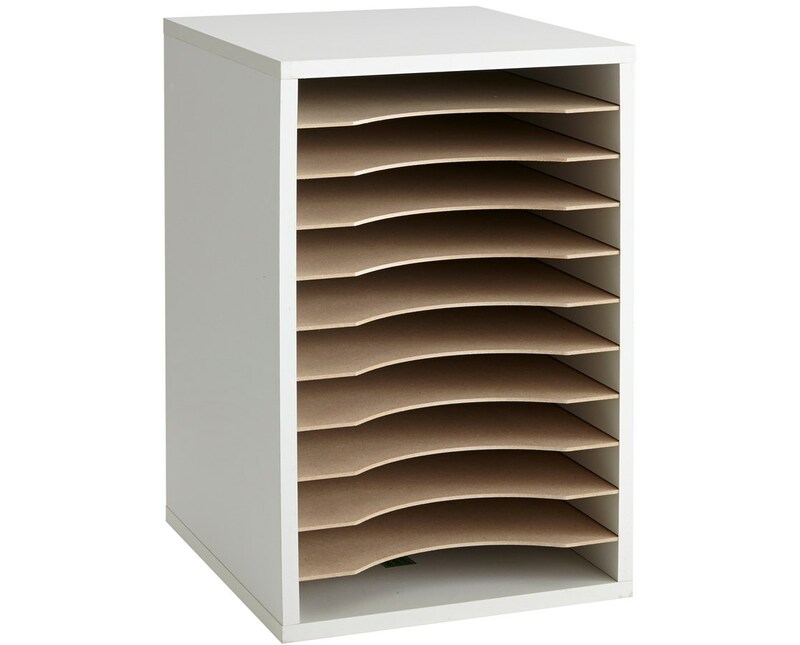 This Safco sorter has the dimensions of 10.75" W x 12" D x 16" H. It is made of compressed wood with a laminate finish and has solid hardboard back. It is easy to assemble with pre-glued dowels. 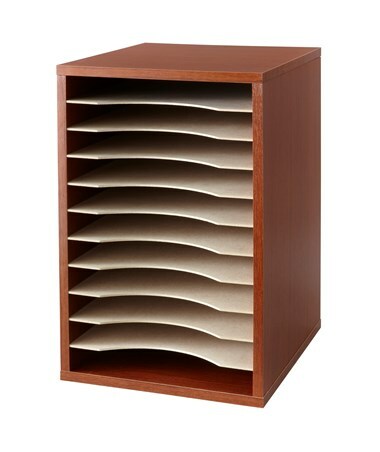 The Safco Vertical Desk Top Sorter has options for color. Please select your preference from the choices above.